While a lot of attention has been given recently to developments in logistics technology, one of the most valuable tools in this area has been around for some time: online access to carrier documentation. What this means for a shipper is that they have real-time access to documents from carriers such as a invoices, bills of lading, weight certificates, and delivery receipts. TranzAct developed these tools over thirteen years ago and has continually provided updates that lead the way with this technology such as carrier API access. Although it might sound simple, this instant access prevents transportation and logistics professionals from having to undertake the tedious work of contacting a carrier to resolve an audit exception. Time is of the essence more than ever in supply chain management, and this visibility also cuts out the delay in getting critical information, which can take days without these tools in place. This is just one valuable piece of the puzzle for transportation and logistics professionals when it comes to analyzing their overall costs, as well as resolving issues that arise. Since shippers need end-to-end visibility, TranzAct has developed tools for all stages of managing shipments—from shopping for rates to tendering and tracking shipments, managing payment, and reporting on shipment activity. This enables shippers to have real-time visibility with the benefits of a transportation management system and payment system all under one roof, providing greater accuracy and insight. One factor of TranzAct’s overall integration that’s added value for shippers is the relationships that have been built with carriers. Executives from companies such as Penske, Estes Express, Werner and others are often featured alongside shippers in TranzAct’s webinars and in other communications since we value building better collaboration throughout the network. 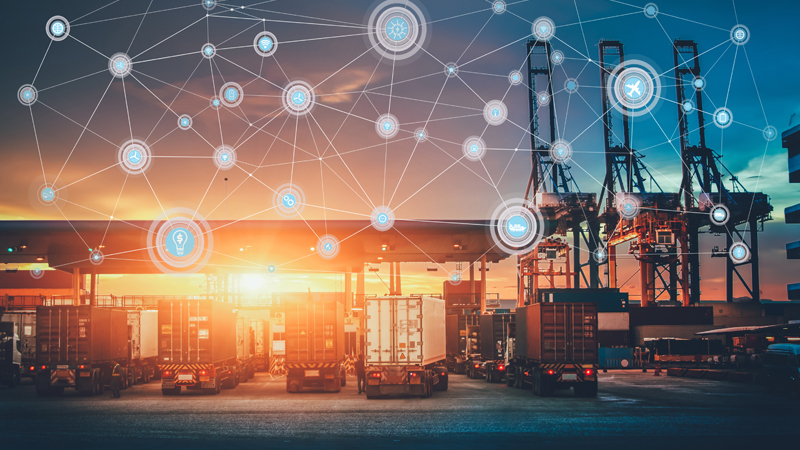 A recent development TranzAct rolled out from this wide ranging awareness is a new platform to facilitate interactions between carriers and shippers. Altogether, these capabilities were built in response to the unnecessary friction that shippers experience in working with multiple companies to get all the information they need. In an increasingly complex industry, the right logistics technology and tools are more valuable than ever.